A hands-on project lead by YC Homes gave eight Senator Allen Bird Memorial School students the opportunity to build a greenhouse. The Grade 12 students from Montreal Lake Cree Nation just completed the project and built it from the ground up under supervision from YC Homes. Another company will complete the finishing touches by installing HVAC and solar. Funding for the project came from Focus Forward and the Montreal Lake Cree Nation. Chief Bobby Cameron of Federation of Sovereign Indigenous First Nation’s encourages young people to take part in programs, such as this one. 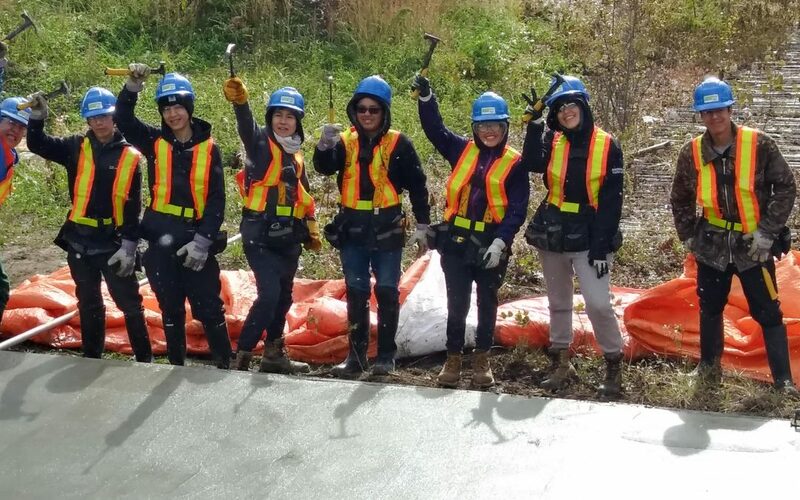 YC Homes uses opportunities like the Montreal Lake one as a setting to teach not only construction skills, but to promote empowerment and confidence in young people. Christina Waditaka worked on the project and she says this opportunity has motivated her to look into the trades after high school. “We messed up a few times and had to take it down and put it back up. I learned if you want something done right, patience is key,” said Waditaka. Jay Noel, the community partner at YC Homes, says he has never seen such enthusiastic students on a job site and that the students were never short on dance moves. He also says that even if the youth do not find a career in the trades, he hopes they can look back at the building project with fond memories, like that of a fieldtrip. There will be a ribbon-cutting ceremony and each student will receive a paycheque at the unveiling. YC Homes used the paycheque as a tool to teach about finances and being held accountable. If the students were late, absent or if the tools were misplaced, a certain amount of money would be docked from their final total. YC Homes and local high school students wrapped up a project earlier this year on Piikani First Nation in Alberta to help solve the lack of housing.